"Owls" by Gordon Dee Alcorn. FIRST EDITION hardback from 1986 in EXCELLENT condition with its original dustjacket. 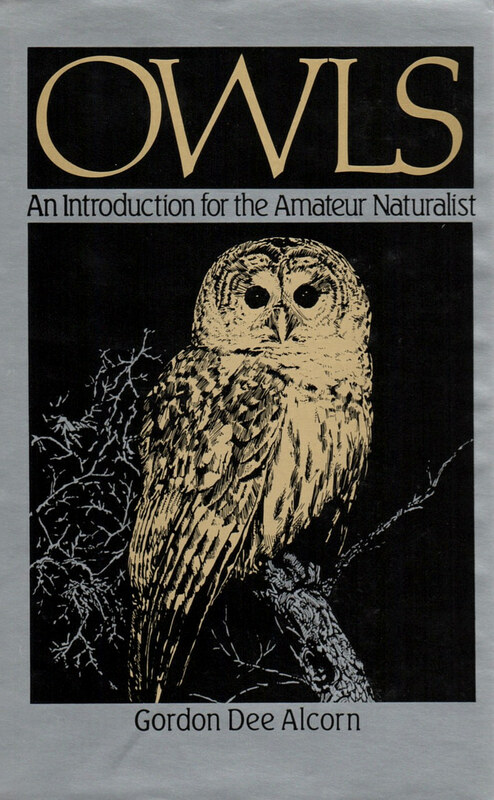 An introduction for the amateur naturalist to the winged creatures of the night, with descriptions and habits of each individual owl species! Stamped bookplate inside front cover. Make this great book yours! Only one in stock.